Real beauty is not about fairness or complexion; it is about the youthfulness and natural glow of your skin that comes from within. But for those suffering from acne and pimple breakouts, acne scars and blemishes are a constant threat that doesn’t seem to go away easily. One can get rid of acne and pimples by using home remedies for pimples and acne, but getting rid of acne scars seems to be a difficult task. But, when it comes to natural cures, nothing is impossible. In this article we have listed some of the natural remedies for acne scar removal that work as natural bleaching agents that helps in lightening acne scars gradually. It may take some time to show results and you have to be patient and consistent with these remedies. Cucumber is considered one of the best home remedies for acne and acne scar removal. The high water content of cucumber has a hydrating and cooling effect on the skin that helps to reduce inflammation, redness and pain caused by acne. 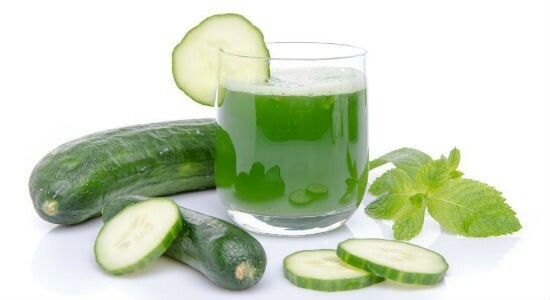 Cucumber juice is an amazing natural skin toner that improves skin texture and lightens the scars left by acne. Squeeze out the juice from the grated cucumber and apply it evenly on the affected areas. Leave it for 15 to 20 minutes and then wash off with water. Repeat this procedure twice daily to see effective results. Potatoes are loaded with skin benefitting vitamins and minerals that make it cone for the most effective natural ingredients for getting rid of acne scars. The exfoliating and healing properties of potato removes the dead skin cells and helps in the regeneration of healthy skin cells. Take a few slices of raw potato and rub them generously of the scars. You can also apply raw potato juice by crushing the potato into a pulp. Leave it on for 20 minutes and wash off with water. Continue this remedy for 3 to 4 weeks to see amazing results. 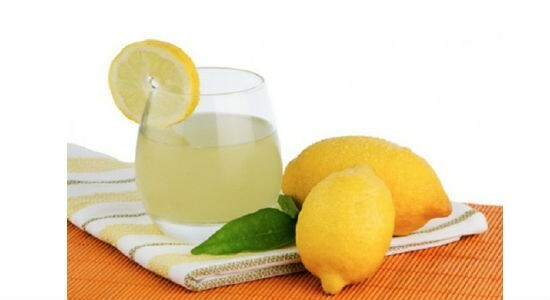 The acidic nature of lemon makes it a natural juice that is frequently used to remove tan and blemishes. Vitamin C present in lemon also helps in lightening acne scars by rebuilding collagen. And, it is by far the most readily available ingredient in the fridge. But make sure not to step out in the sun after applying lemon juice to your skin because lemon juice makes the skin more sensitive to sun’s rays. Cut a fresh lemon in to half and extract the juice into a glass bowl. Dip a cotton ball into the juice and dab it on the scars. Leave it for 10 to 15 minutes and wash away with water. Repeat this remedy once every day for 2 to 3 weeks to lighten the scars considerably. Aloe vera is often considered a wonder herb that is widely used in home remedies for skin and hair. It is also the best acne treatment that promotes the healing process of the skin of regenerating the damaged tissues. It is best to apply the fresh gel directly from the aloe vera leaf rather than the over-the-counter creams containing aloe vera extracts. Cut off a fresh aloevera leaf from the plant and scrape out the gel like substance with a spoon. Apply the gel directly on the acne scars, leave it for 30 minutes and then wash off. Repeat this procedure 2 times daily in order to see results in no time. The soothing and healing properties of sandalwood paste along with this antibacterial power makes it an ideal ingredient for addressing all types of skin problems. 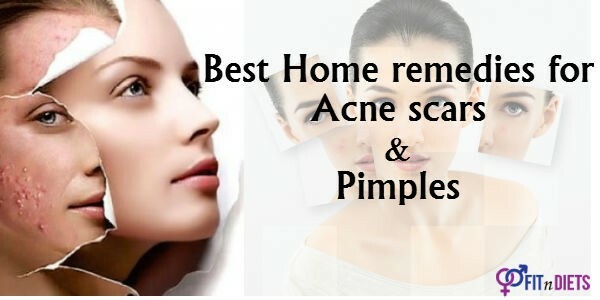 It is also one of the most functional home remedies for acne scars that show fast results. Mix both the ingredients in a glass bowl so that it forms a smooth paste with a thick consistency. Apply the sandalwood paste evenly over the affected areas of the face, leave it for 1 hour and wash off with water. Repeat this remedy once daily before going to bed in order to lighten the acne scars. Yet another effective but less known method of acne scar removal is using dried orange peel. 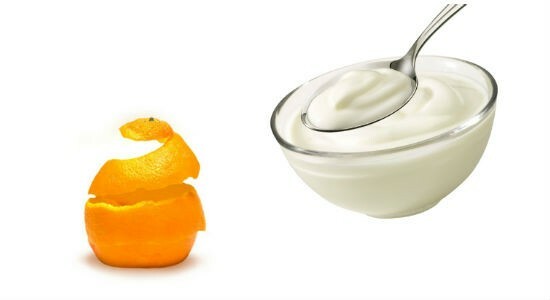 Orange peel is rich in vitamin that boosts collagen production in the skin and heals the damaged skin cells. It also makes a great natural skin cleanser that helps to lighten scars and dark spots. Mix both the ingredientsthoroughly in a glass bowl and apply the paste all over your face. Leave it for 15 minutes and the rinse with water. Do it once every day for 2 weeks for best results. The ultimate answer to the question of how to get rid of acne scars naturally is exfoliation. And what better way to exfoliate your skin in a gentle manner than nourishing oatmeal scrub? Saponins found in oatmeal works as a natural cleanser. 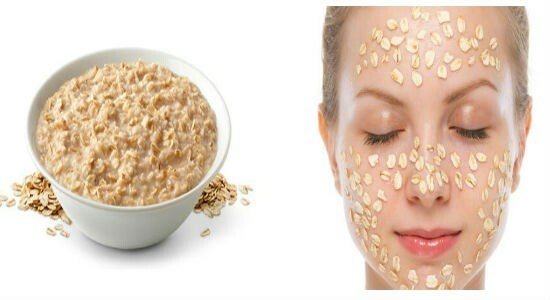 The antioxidants and anti-inflammatory properties of oatmeal help to maintain the youthfulness of skin. Boil the oatmeal in 1/4th cup water and let it cool completely. Massage the boiled oatmeal gently onto your face for 33 to 5 minutes and leave it on for 15 minutes. Next, wash off with lukewarm water. Repeat this remedy 2 times a week for best results. Baking soda is the most prudent answer to the question of how to get rid of acne and pimples. The tiny sodium bicarbonate crystals present in baking soda make it a powerful cleansing scrub that lightens the acne scars while healing them at the same time. 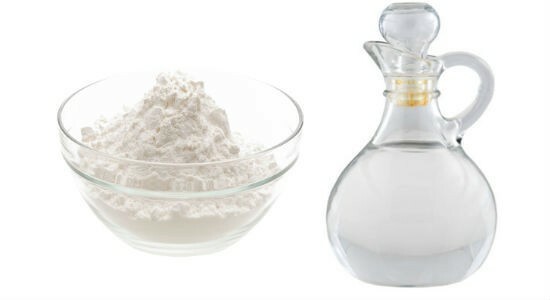 Mix the baking soda with water to make a thick paste and massage it into the affected areas of the skin. Leave it on for 5 to 8 minutes and then wash your face with lukewarm water. Follow this remedy 3 times a week for a few weeks and say goodbye to acne scars. Apple cider vinegar is the one stop cure for all types and hair and skin problems. It is a wonderful acne treatment thanks to its anti-bacteria and anti-inflammatory properties. It also works as a natural astringent and helps in removing dead skin cells from the skin surface, which in turn fades away acne scars in a gentle manner. 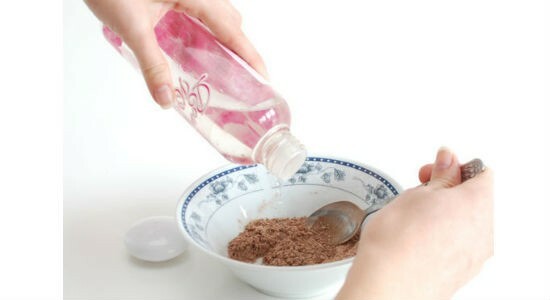 Mix the apple cider vinegar and water in a glass bowl and dab the mixture on the acne scars using a cotton ball. Leave it for 10 minutes and wash off with water. Do this once daily to see visible results within a couple of weeks. The natural humectant properties of honey makes it an effective natural remedy for healing dry skin, but how to get rid of pimples and pimple scars using honey? Well, the natural antiseptic property of honey fights the acne and pimple causing bacteriawhereas the skin rejuvenating property of honey helps to recover the damaged skin cells and lighten the scars. 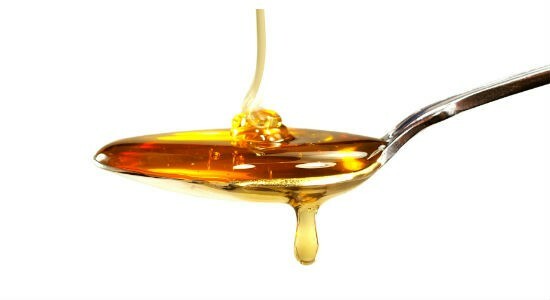 Take 2 teaspoons of natural organic honey and apply it generously on your scars. Leave it overnight and wash off with lukewarm water the next morning. Do this every day for 2 weeks for best results. The above mentioned home remedies for acne scars will definitely help to lighten the blemishes and marks if they are used with patience. But some might show better results compared to others depending on your skin type. So, try out a few of the remedies to find the most suitable one for your skin type.